Democracy and self-organization enhance each other. Self-organization thrives on localness, collaboration, healthy feedback dynamics, and intrinsic motivation. So, when addressing complex situations, minimize friction and expense by providing conditions whereby those involved can and do address those situations sensibly themselves within the constraints of the common good. What factors contribute to healthy self-organization? How, when and why should we support them? What’s going on in self-organizing systems? How do they organize themselves without outside direction? What pros and cons do people talk about when they consider self- organizing activities and systems? What do you think about all that – and what do you think we should do with it? Under what circumstances should self-organized approaches be permitted, prioritized, protected, and/or supported – or replaced with more outside management? What self-organizing energies or possibilities seem to be present in the situation we’re considering here? How should we relate to those energies and possibilities? When I say that democracy and self-organization enhance each other, the idea is that there’s bottom-up organization, that the society is being run by the people in it, not by people who are more or less outside it, especially people who are not being impacted by the decisions they make. In a dictatorship or monarchy, the ruler is usually living in a different world than the people he rules. So democracy theoretically is about rule by the people, self-organized by the society as a whole. There may be people who have lots of power but in terms of voting there is one person, one vote. The principle behind it is that the people are being ruled by the people. That is a very fundamental self-organizing concept. 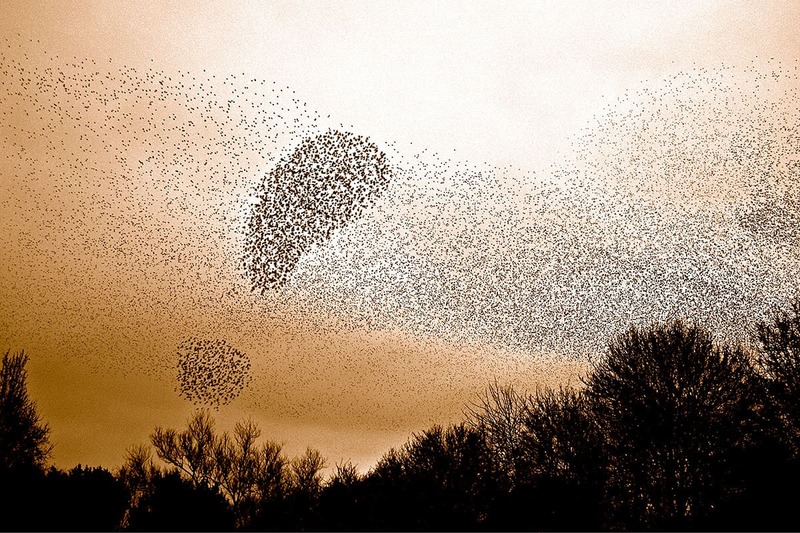 There’s been research that shows that self-organization is the way the natural world works. Earlier in human history and in many religions even now, many people have believed that gods are in charge of making things happen. That has largely changed as science has advanced, and now most scientists believe that nature makes itself over and over again. There is nobody really in charge of nature but there is definitely an intelligence in nature. Part of self-organization theory overlaps well with intelligence theory, because the trial and error that we see in natural evolution and in ecosystems, is constantly working towards new optimum solutions for new problems and circumstances and leaving a trail of innovations behind it – and isn’t this just what we see when we look for evidence of intelligence? Circumstances change and new solutions get found. There is a kind of broad intelligence operating in that. So it isn’t as if everything is ONLY just chance and random. There’s an intrinsic way things unfold. If you have a very complex situation – and the whole world is getting more and more complex, such as in economics or in society – we start to realize that we can’t control the situation from the outside or from the top. No Great Leader is going to successfully manage what’s going happen from the top down. Many people now view the collapse of the Soviet Empire as evidence that that approach doesn’t work. If you have a very simple scene – for example if you’re trying to build a little machine – you know you can do that from the outside. You don’t need self-organization for that. If things are mechanical and have simple one or two-way causal dynamics, you can consciously design that and probably get good results. But once you start moving into large, complex and/or living systems, you can’t successfully use that approach any more. You can try but you will likely end up using massive amounts of energy to force things to happen and often end up with a mess anyway. The energy isn’t there in the system to do what you want unless you actively work with it. You have not used the existing energy, so you have to use force and manipulate it and it may actively resist you with friction or counter-intention. It can cost a lot of money and effort to keep all the self-organizing energies at bay. Self-organizing energies are natural. You can see that all over the place. Just think of all the money we spend to keep nature at bay and to keep populations controlled. So if you provide conditions, where the life in the system itself can create desirable outcomes, then you don’t have to import all that force, expense and energy into the system. Systems like permaculture, for example, do agriculture and horticulture by designing ecosystems with multiple entities in them that work together while providing yield for the designer/gardner. If you have some pest that is going to attack your crops, you put some animal in the system that will eat the pest. Then you may need to provide a system to support the animals – on and on, but it is a design problem, not an energy problem. One of the favorite things I saw in a permaculture installation was this pear tree in front of a south facing window. During the summer, when it was hot, the pear tree was filled with leaves and shielded the inside of the house from the sun shining into the window. And in the winter the leaves fell off the pear tree and the sun shone in and warmed up the house. I mean, how elegant is that! The system just does it’s thing and gives you the result you want with no input of energy, effort, resources, nothing. Self-organization of course thrives on localness. The local energies in any given situation are the most dominant in the system. The further you stretch it out, the bigger your scale, the harder it is to get the results you want from a self-organized system. Chaos theory begins to govern such larger scales, so it’s harder to have a congruence between what you want and what happens in the self-organizing dynamics. That’s one of the reasons to use some of these other patterns in this set that are biased towards localness, like subsidiarity. And collaboration – things working with each other – that’s the essential thing that is going on in any self-organizing system. Things are impacting each other, but the dynamics are not one-way; it’s mutual. There’s tight feedback. It may not always happen in nice smooth modes, but the outcomes are for the common good or benefit most or all of the entities involved over the long term. This self-organizing predator-prey balance just happens naturally and in a really healthy system the feedback-loops don’t go as extreme as in my example. You don’t have a sudden burst of rabbits, so that the fox population suddenly bursts. It’s more balanced. A dance of factors within a small range of fluctuation is what makes the system healthy. So let’s look at a social manifestation of this. For example, you would love to have a self- organizing economy that has rewards for people who do well, but does not generate vast inequities that allow some of the participants in the system to manipulate it for their own benefit, thereby generating a positive feedback loop in which they get more and more wealthy while other people get poorer and poorer. You have to design some checks and balances into the system so that it is free to self-organize within constraints that allow it to self-organize sustainably. “Intrinsic motivators” is the last key phrase in our description of this pattern. To the extent that you have to provide some outside motivation for the players in the system to do the things that are needed, somebody has to stimulate and manage the motivation needed to get things to happen. That means you have extrinsic forces at play and the system is no longer self-organized. So you ideally want to create a system that allows and encourages people to do what they already want to do, or as in permaculture to help the land and the animals and plants do what they already want to do, with minimal attention. The forces that are organizing your system and making it productive are coming from the inside, from what’s naturally happening in the system, rather than from what is going on outside of the system that’s being brought in to force or activate certain results. Let’s go back for a minute to the middle of the pattern heart, where it says “within the constraints of common good.“ Given the complexity of the problems we face in the world today, we would ideally organize our economy so that there can be some differences in the wealth people accumulate depending on what they do, but their efforts to create wealth are actually beneficial to the larger society. Some of the other patterns in this set – like “Full Cost Accounting” – can help do that. A carbon tax is an example of that: With such a tax, the more a product involves greenhouse gas emissions, the more expensive it is, making less harmful products more attractive in the marketplace and the companies that make them more successful. Another example is having a progressive tax system, so that the richer people have to contribute more to the common treasury, the richer they get. These are the kinds of constraints that can help a self-organizing system be healthy and wise rather than destructive. Collectively wise democracy involves using self-organization as a strategy. Self-organization is not intrinsically wise because many systems self-organize into self-destruction. We want to figure out how to help the self-organizing dynamics of our society be wiser than that by more wisely designing the playing field in which they will unfold. To the extent we can generate wisdom, we enable self-organization to be life-serving over the long haul. The democratization of societies is one thread in a trend away from top-down, force-based structures back towards social self-organization. Wise democracy follows, embodies and furthers that trend. Open Space is the prime example of a process that functions through self- organization. Open Space gatherings self-organize around participants’ passions: do your thing and if it’s within the larger topic that we’re talking about, whatever you come up with will contribute to that topic. But a lot of other “emergent processes” – like World Café and Dynamic Facilitation – do that as well. When people in a World Café get up and move to other tables in a seemingly disorganized way, they are actually self-organizing the whole Café into more productive complexity. In Dynamic Facilitation the facilitator tries to “follow the energy of the group” rather than directing the conversation. Circle process produces emergent phenomena, but in an interesting way. The meaning that arises is self-organized and not directed by anyone, but the structure within which it arises is highly formalized. Wisdom Councils are highly self-organized because they operate with Dynamic Facilitation. Other citizen deliberative councils can be self-organizing if they aren’t set up to get the participants to choose among pre-ordained options, but rather to help participants generate their own best solutions to a given situation or issue.